In an era of unprecedented student mobility, increasingly diverse student populations in many national contexts, and globally interconnected environmental and social concerns, there is an urgent need to find new ways of thinking about teaching and learning. 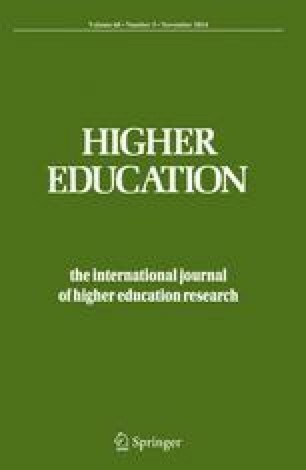 Static assumptions about so-called ‘Western’ versus ‘non-Western’ teaching and learning approaches or ‘local’ versus ‘international’ students are inadequate for responding to the complex histories, geographies and identities that meet and mingle in our higher education (HE) institutions. In this paper, I use María Lugones’ ‘world-travelling’ as a framework for discussing international and New Zealand women students’ reflections on teaching, learning and transition in New Zealand HE. I conclude with some suggestions as to what effective pedagogy might look like in internationalised HE if we think beyond culturalist them-and-us assumptions and recognise students’ complexity. The New Zealand Tertiary Education Commission provided funding support for this project in the form of a Bright Futures Doctoral Scholarship. Thanks to the women who participated in the project, and to Associate Professors Karen Nairn and Jacqueline Leckie, who provided research supervision. International Division Ministry of Education. (2013). International enrolments in New Zealand. Wellington: Ministry of Education. http://www.educationcounts.govt.nz/__data/assets/pdf_file/0012/115050/Enrolments-of-international-students-2006-2012.pdf. Accessed July 19, 2013. Wang, Q., & Hannes, K. (2013). Academic and socio-cultural adjustment among Asian international students in the Flemish community of Belgium: A photovoice project. International Journal of Intercultural Relations. doi:http://dx.doi.org/10.1016/j.ijintrel.2013.09.013.